There is an interesting story behind this book. Back when I published an online literary magazine (Jack), and my maiden name was Sands, I worked closely with poet Michael Rothenberg, who at that time was very close to Philip Whalen and later handled his estate. Michael also knew “meat poet” Michael McClure. McClure has always been a favorite poet of mine, along with Whalen and Gary Snyder. You might recognize some of these guys as characters from Jack Kerouac’s novels. In my very first issue of Jack Magazine, summer of 2000, Michael McClure gave me permissions to republish three poems from his Touching the Edge: Dharma Devotions from the Hummingbird Sangha. 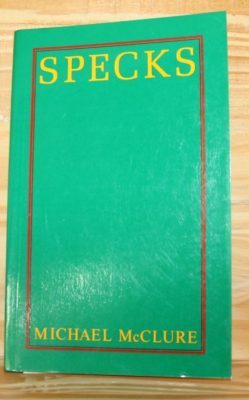 He also sent me the book Specks, shown above. Specks assumes the form of a blastula, offering a poetic model of embryonic development that arises from the cellular division known as “cleavage,” transcending the proprioceptive methodology of Charles Olson and entering an Aristotelian realm of metaphysical questions that broach matters scientific and mystical, exploring the properties, powers, and limitations of the physical-poetic body, as exponent of its own consciousness. 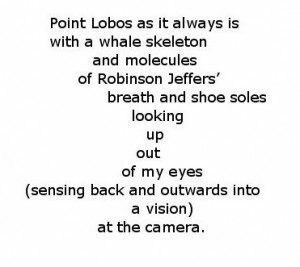 Enamored by McClure’s biological poetry, I eventually wrote an article about, “Point Lobos: Animism.” I will copy the article below this entry. Back to Specks. I was living in California at the time and had known of and occasionally connected with Denise Enck of Empty Mirror Books, who also ran the McClure-Manzarek website. Beat poet Michael McClure often jammed with Ray Manzarek of the Doors. I saw them once performing a night of poetry and music at the Whiskey-a-Go-Go in LA, the first time the rest of the Doors had been back there since Jim Morrison got them kicked out long ago. This was years ago, of course. That’s just an aside to what turns out to be a weird coincidence. Michael McClure had sent me Specks and signed it to me (Sands is my maiden name). However, when I moved from California, I inadvertently lost the book. Whoever found it sent it to Denise, since she ran McClure’s website. 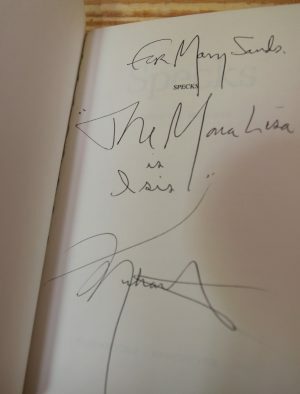 She later wrote to me saying she had the book and recognized my name. I couldn’t believe that book showed up at her doorstep. She sent Specks to my new address. I had felt so badly about misplacing the book but also fortunate to have it end up back with me after all. So that’s the story of how this book was once lost but is now “found” and returns to my library. Editor’s Note: Ray Manzarek, who worked with Michael McClure for years, has since died. Through a visceral night of rancor. Of the fear of anxiety. Michael McClure is one of my favorite poets. Early in his life he wanted to be a scientist, and like me, was interested in nature and wildlife. Had he not settled in with fellow poets, he may have become what is known as a modern scientist, but I like to think of him as one in a sense, anyway. As a poet and essayist, he incorporates biological themes into his writing. At what was coined the “San Francisco Renaissance,” when the beat generation writers of the east coast merged with the west coast poets at the famous Six Gallery Reading in 1955, McClure read “Point Lobos: Animism” and “For the Death of 100 Whales”–the latter written and read long before Free Willy. Point Lobos has always been one of my favorite poems. McClure’s awareness of the animal consciousness, and his poems’ organic progressions, lend to his connection with ecology and biology and transference of that visceral undersoul to the reader’s conscience. McClure once said his interest in biology has remained a constant thread through his searching. The piece, as were many post-war avant garde poems, was influenced by French surrealist writer Antonin Artaud, and more specifically as a response in part to the line by Artaud: “It is not possible that in the end the miracle will not occur”. Concern for death distracts from the more deserving task of appreciating and ensuring life’s continuation. Whilst sharing with Artaud a belief in a duality of the spiritual and the physical, according to McClure, the latter is not the barrier to the former as it is in some of Artaud’s work. 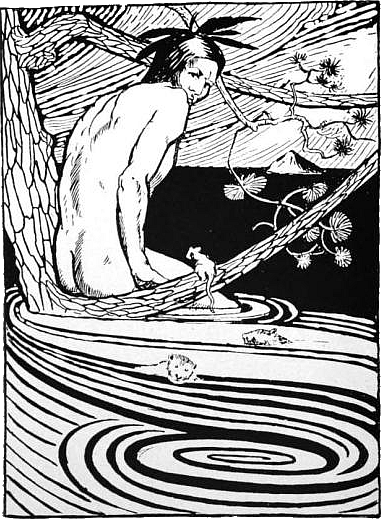 McClure writes in a comment on the poem, ‘I wanted to join Nature not by my mind but by my viscera – my belly,’ and what remain resolutely separated by the metaphysics of Artaud’s later writing – the physical and the spiritual – have the potential to combine in McClure’s. Concern for the natural world in the immediate present replaces Artaud’s hypothesising about the arrival of a miracle. From animism to meat science to molecules, McClure’s unique wordsmithing has always broken the walls we build between us and nature.